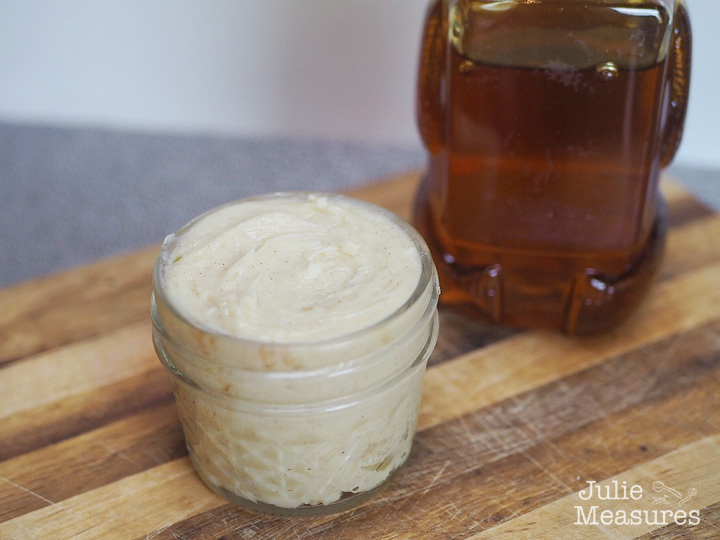 Sweet and creamy, it’s easy to make homemade honey butter! 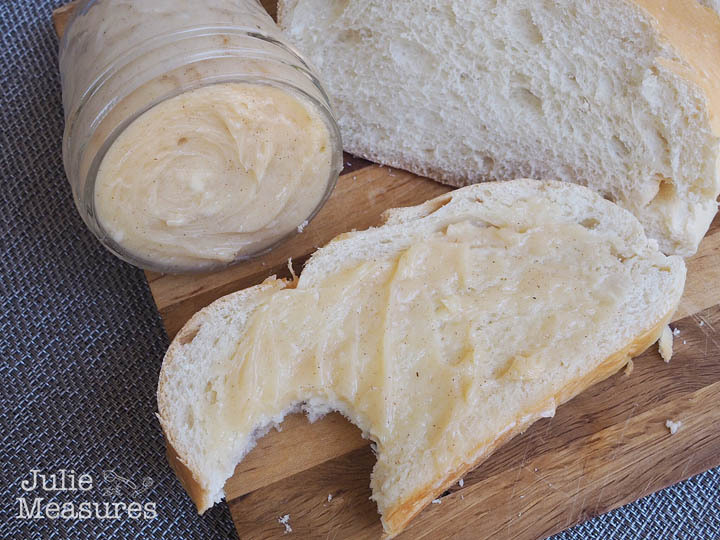 Take it a step further by making your own butter in a mason jar. 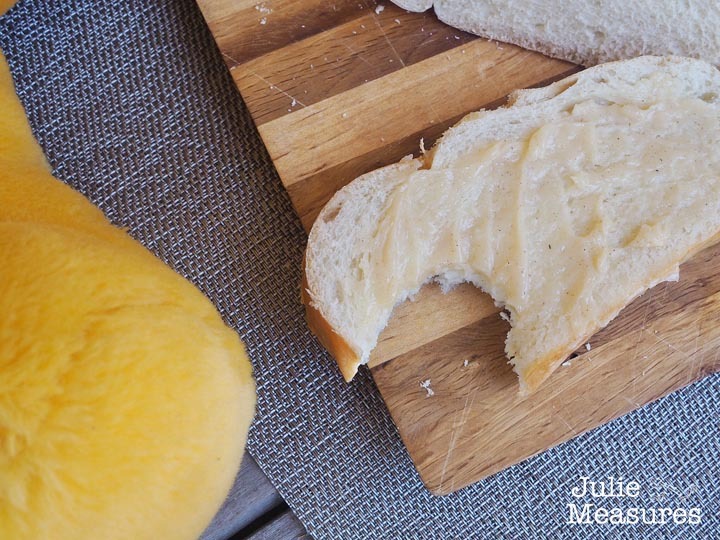 There’s nothing better than fresh bread. Until you spread sweet honey butter over it. 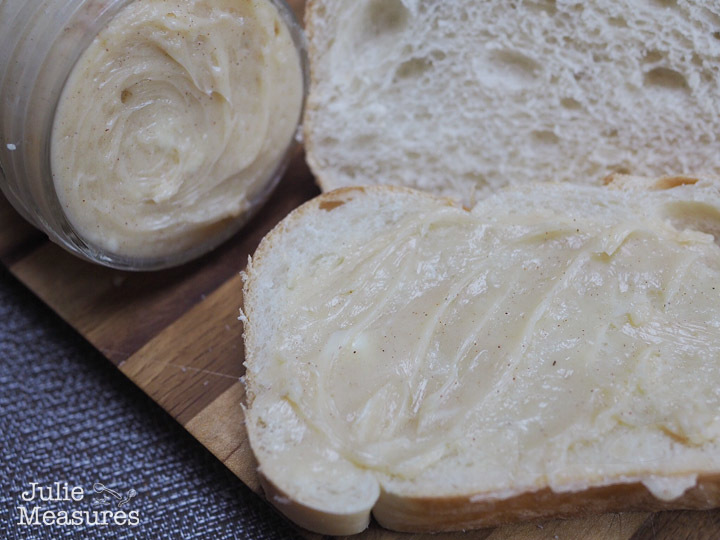 Sweet honey butter, spread on soft bread, might be one of my favorite treats. My kids love fresh bread. Oldest Twin is more likely to ask for me to buy him a loaf of fresh bread at the grocery store than any other treat. 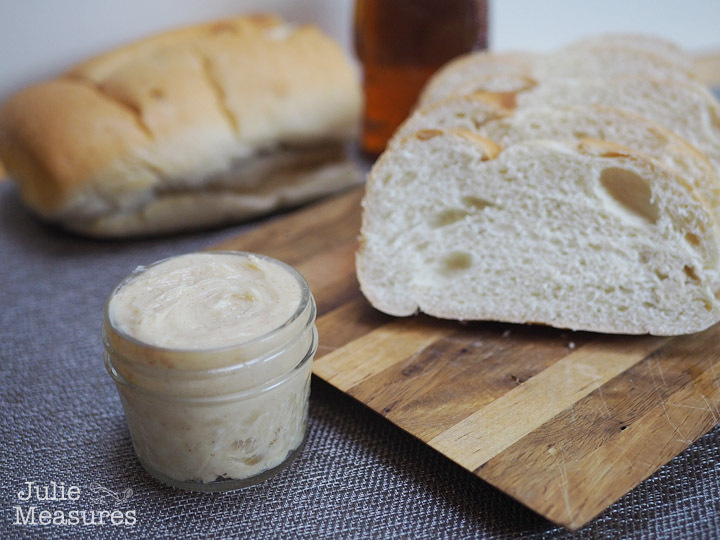 This week was no exception, so with a loaf of fresh bread in hand I decided it was time to try making our own honey butter. Inspired by our recent viewing on Christoper Robin. Instead of just using store bought butter, I really want to make this even more homemade. So we made our own butter. Yes. The kids and I made butter, using heavy cream and a mason jar. Shake the mason jar for 8-10 minutes. Shake for 30-60 seconds after you hear the butter has formed. Remove the butter from the jar, straining the buttermilk. You can keep the buttermilk for other recipes or discard it. Place your solid butter into a bowl. Pour cold water over the ball and use your hands to form it into a ball. Discard the water and repeat the rinsing and forming two more times. 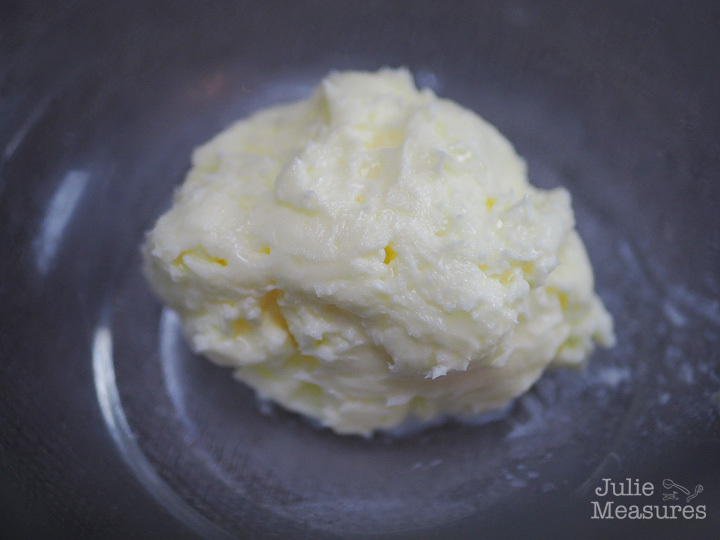 I used half a pound of butter to make our honey butter. Use a mixer on medium speed to beat until well combined, about 5 minutes. Can you be excited and apprehensive about a movie at the same time? That describes how I felt heading into the Christopher Robin premiere. I love the Winnie the Pooh characters. I grew up with the books and characters. I always had a soft spot for Eeyore. My Mom had a Winnie the Pooh record I remember listening to it as a child. 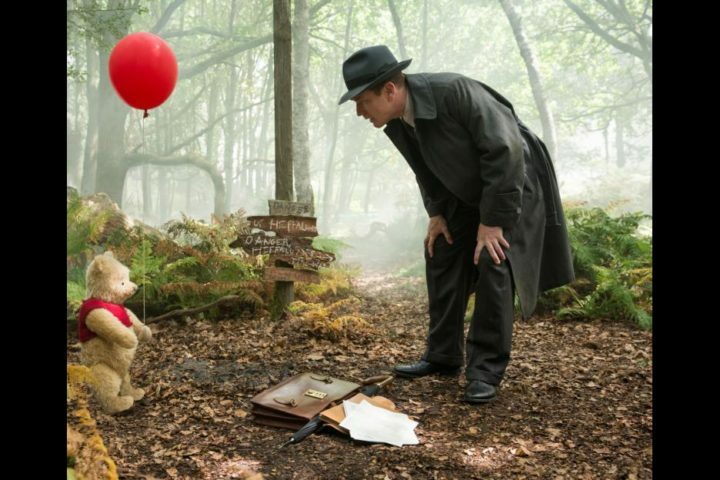 What would a movie with a grownup Christopher Robin look and feel like? The answer is whimsical and nostalgic. The young boy who embarked on countless adventures in the Hundred Acre Wood with his band of spirited and lovable stuffed animals, has grown up and lost his way. How often to I tell my kids, just a minute? How often do I prioritize work above spending time with them? 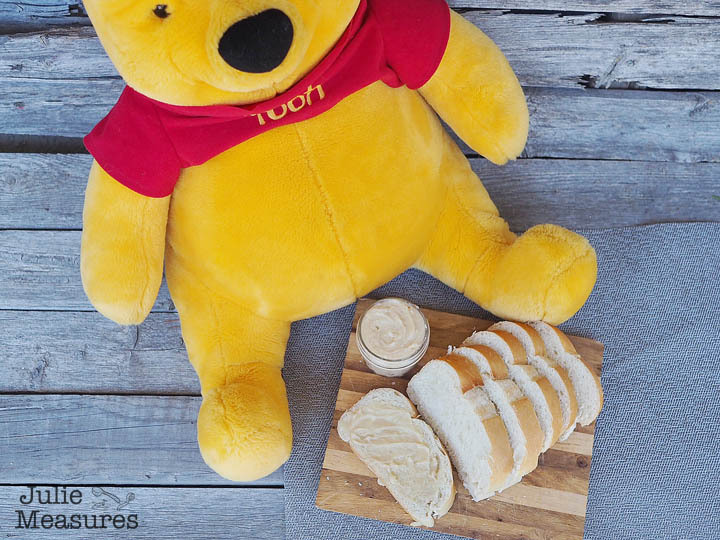 Christopher Robin works hard to provide for his family, his wife and daughter. But he has lost his playfulness and imagination. His wife tells him that she didn’t fall in love with him for his position, his job. There is nothing wrong with working hard and wanting the best for our families, but we need to remember that our family is the reason why we work so hard. And if we don’t take time for them, then what is the point? Did I need to make my own butter? No. I could have very easily purchased it at the store. 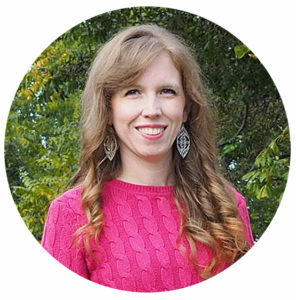 Did it give me a fun activity to do with my kids? Yes, it did. I think Winnie the pooh and Christopher Robin would have approved the time we spent shaking a mason jar and mixing butter with honey. 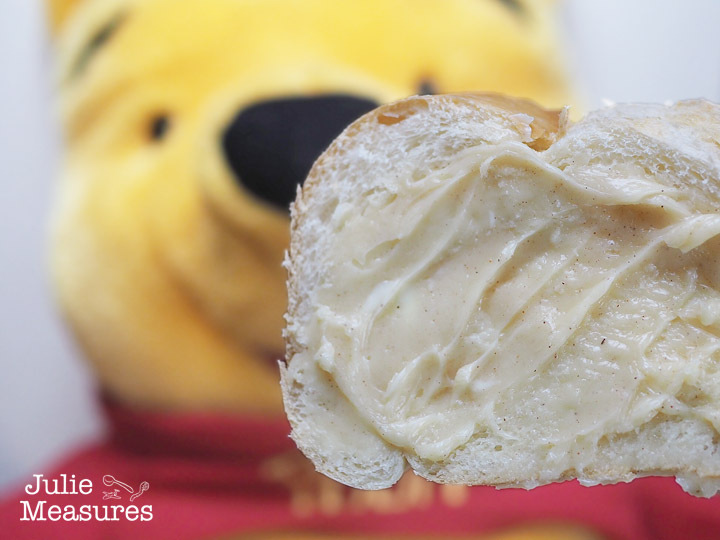 Spreading our homemade honey butter over the bread and eating together brought smiles and laughs to our faces. It was certainly time well spent. I might not have the quote exactly right, but you get the sentiment. My kids aren’t as familiar as I was with all of the Winnie the Pooh characters, Littlest didn’t even know the Tigger song. It didn’t matter. All three of my kids, yes that means the teenagers, enjoyed watching Christopher Robin. Pooh and his friends have some great one-liners that elicited laughs from my boys. Ewan McGregor’s Christopher Robin was very relatable to me as a parent. We all left feeling upbeat, knowing that best friends will always be there for you. Overall, Christopher Robin is a story about friendship and family. It’s an imaginative tale about the joy and purity of youth. Speaking to the child in all of us, the film is a gentle reminder to let some of those qualities infuse our adult lives. 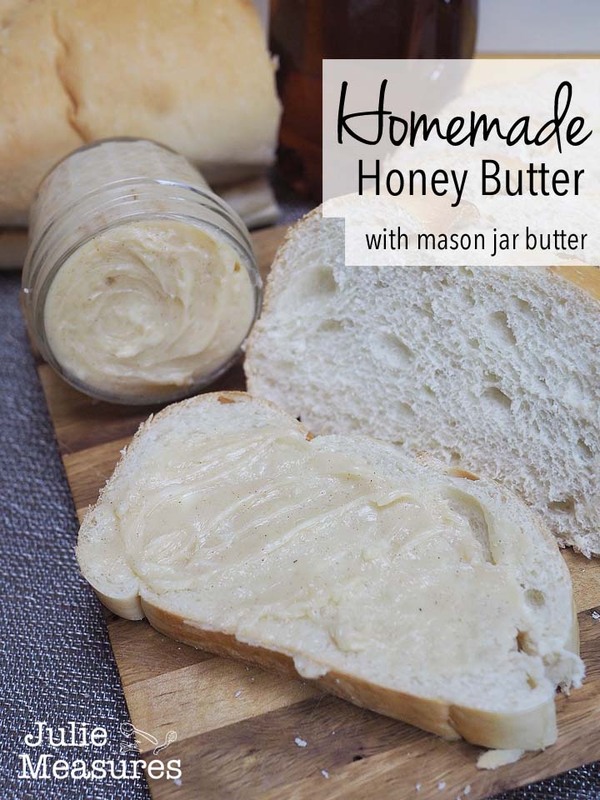 Make your own Homemade Honey Butter! Want more movie inspired treats? Make Incredible Red Velvet Cheesecake Cupcakes and a Wookie Chocolate Milkshake!